OLI AT NEFTEGAZ 2019 – Find us at Hall: 1, Stand: 1A35. The event program that is under development now will be held at the 19th edition of the Neftegaz International Exhibition for Equipment and Technologies for the Oil and Gas Industry and the National Oil and Gas Forum at Expocentre Fairgrounds on April, 15-18. It was informed by the Organizing Committee of Neftegaz 2019 and the Forum. These two important events have been co-located for years allowing creating the largest showcasing and networking platform for the Russian fuel and energy sector. This year the supporting program of Neftegaz and the National Oil and Gas Forum features conferences, technology sessions, and research and practice seminars. The participants will be focused on the issues and trends identifying the prospects of technological development of the Russian oil and gas sector. It is analysis of the latest trends in the global oil and gas markets, industry digitalization, job transformation, innovations, economic priorities, new opportunities for international cooperation in terms of geopolitical restrictions, localization, and technology partnerships. The topics for discussion are export potential of high tech products in the oil and gas machine building, innovative technologies for the oil and gas sector, technology clusters and parks, special economic zones, and science and technology sites. At the Forum and Neftegaz 2019 much attention will be given to new approaches to enhanced oil recovery and development of hard to recover reserves, exploration and operational efficiency and the role of people in the era of robotics, corporate environmental responsibility, industrial safety, and impact of alternative energy on the development of the oil and gas industry in Russia and worldwide. Neftegaz will be held for the 19th time. It is based on a rich history, strong traditions, and a solid reputation of an effective professional platform for signing contracts, business networking, and exchange of experience and relevant information. Neftegaz hits the world top ten oil and gas shows featuring national and international leaders in the oil, gas and energy industries. 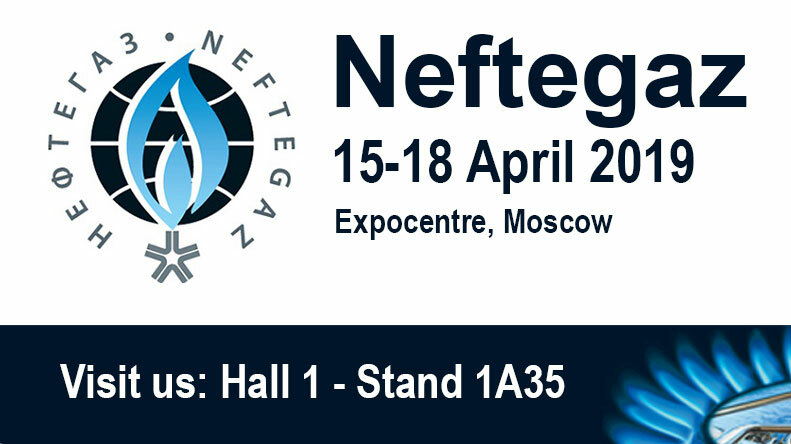 Neftegaz 2019 is organised by Expocentre in partnership with German trade fair company Messe Dusseldorf GmbH and supported by the Russian Ministry of Energy, the Russian Ministry of Industry and Trade, and VDMA, the German Mechanical Engineering Industry Association. The trade show runs under the auspices of the Russian Chamber of Commerce and Industry. The participants in the trade show and the Forum will be heads of ministries, top managers of oil and gas and machine building companies, industry associations, and representatives of mass media.